Dox Live – Booking agency » Dox 20 Year Anniversary events! 22-03 Dox 20 Year Anniversary events! This year marks the 20th anniversary of Dox. In January we kicked of this special year with a showcase during Eurosonic/Noorderslag, here we presented some of our newest acts. To further celebrate our 20th anniversary we have planned three new events in three different venues: Paradiso Noord (Tolhuistuin), Caprera and Vondelpark Openluchttheater. Tickets go on sale on March 23 via the website of Paradiso. Tickets are available via the website of Caprera. Line-up: BRUUT!, Steffen Morrison en IVAR. Entrance is free for this event. 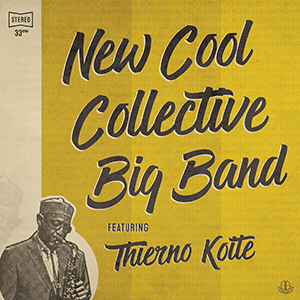 In light of our anniversary there will also be a special release on our label Dox Records: a collaborative album between New Cool Collective Big Band and Senegalese saxophone player Thierno Koité. Last year the two combined their forces, playing 3 shows in the Netherlands, after which they created a new album during numerous recording sessions. The album will be released on the 12th of May.